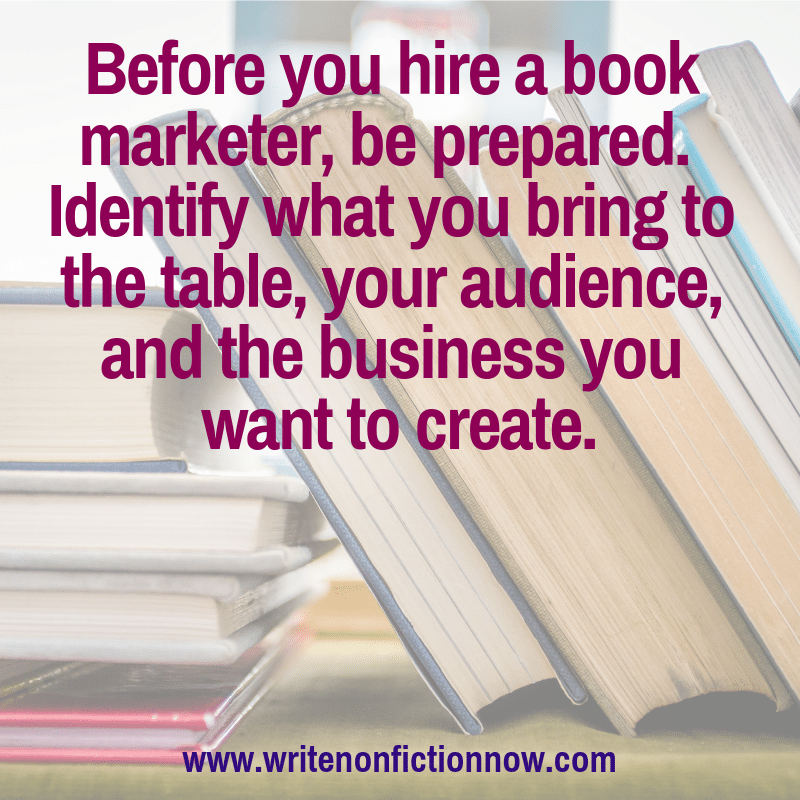 What Nonfiction Authors Need to Know Before Hiring a Book Marketer - Write Nonfiction NOW! 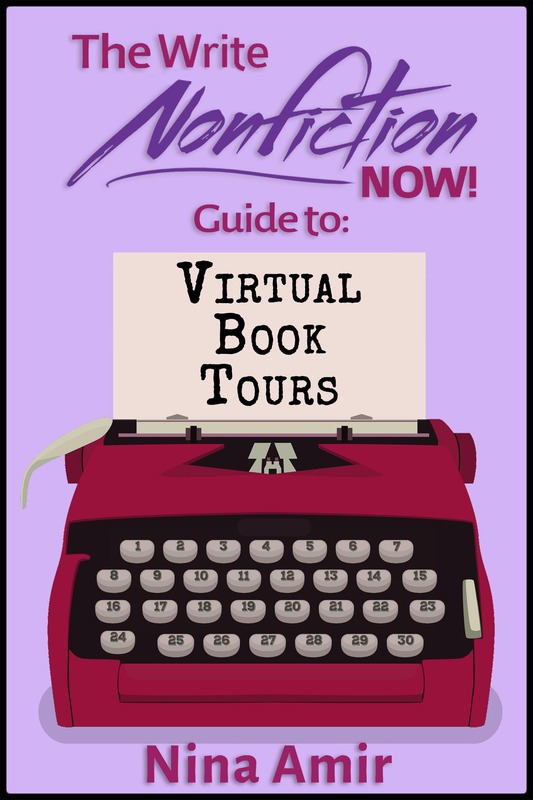 Marketing a nonfiction book can feel like an overwhelming task. That’s why so many authors seek the help of a marketer. However, they might not be ready for a book marketer’s help yet. 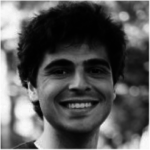 Today Emmanuel Nataf (@EmmanuelNataf), co-founder of Reedsy, offers some tips on how to prepare to work with a marketer…and to know you are ready for this collaboration. First of all, it’s great that these authors have completed books. But there are a lot of steps that must be taken before the marketing of a book actually starts. 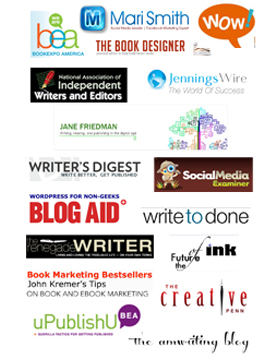 Book marketing doesn’t merely happen with a wave of the wand. Instead, it’s a methodology that involves lots of careful testing. Before you think of marketing your book or hiring a marketer, answer the three questions below. there are a lot of steps that must be taken before the marketing of a book actually starts. Here are two other ways to ask this question: What do you bring to the picture, and how do you want to present yourself to your audience? This is important because you want to provide clarity as to why you are the person to whom people should listen. Marketing is not only meant to sell your book; it’s intended to sell you to the audience. Refining your persona can bring into focus what you are bringing to the table through your book, whether it’s your ideas, voice, experience, or background. How you answer this question can impact everything from your promotion platforms to the framing of your marketing message. Let’s look at a basic example from A Brief History of Time by Stephen Hawking. Hawking was an avid fan of rowing to the extent that he was actually on the rowing team at Oxford. Was that mentioned when his marketing team went to work on selling his book on cosmology? Not so much—because it wasn’t an important part of who Stephen Hawking was in the context of the story. While you are in the middle of asking yourself this question, make an additional effort to identify what exactly you want to gain from the publication of your book. Spoiler alert: your book shouldn’t be the end-all-be-all. Instead, it should be the gate to the rest of your business. More on that later. Or: Who’s actually going to read your book? When a marketer asks you this, under any circumstances, do not respond by saying that your audience is “everyone.” Iterations of “everyone” won’t fly as well. (For instance, if your book is about wellness, and you say that it’s for anyone who wants to be healthy, that translates into “everyone.”) Instead, narrow it down in your mind by questioning what type of person would really walk into a bookstore, see your book cover, and go to pick it up. Once you’ve landed on this proto-persona, it’ll then be easier to dig further and get to the root of your target audience. What are your readers’ problems? Why would they want to select your book out of all the other books in the bookstore? What do they want to read? When marketers sell your book, this is the person that they’ll have in mind as they target ads and run campaigns. And, of course, you’ll be able to work with your marketer to discuss and refine all of these points. But it’s good to have a firm idea in your own mind before you jump into the collaboration. 3. What is your back-end product? In other words, what’s your actual business? This is one of the most critical questions that a marketer will ask you—and you should have an answer before you think about hiring marketing services. As we mentioned before, a book in and of itself is not the endgame. 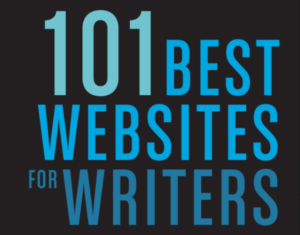 Rather, it should be the door that leads readers to the bigger picture or your business. Let’s say that the expensive Amazon ads that you’re running end up turning browsers into readers. That’s great. 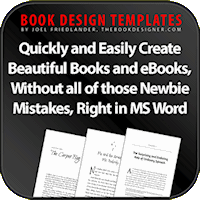 However, to think long-term, you want a back-end product related to your book. Then you can convert these readers into regular customers. So, what can you do to pull people from your book into your ecosystem? First, figure out exactly what your business is. Then, ask what methods of lead generation you can use. Do you have a regular newsletter? Are there any lead magnets that you can use? The vast majority of authors have never considered any of these questions before they approach a marketer. If you start thinking about them early, then you’re already a couple of steps ahead of the game. 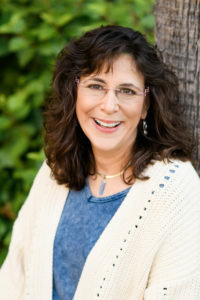 And it’ll be that much easier to work with a professional marketer to build a strong marketing campaign for your book. Have you answered these three questions? Tell me in a comment below. 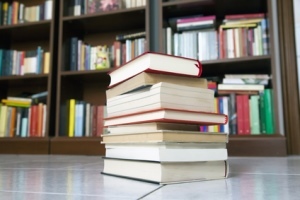 « What Happens When Your Nonfiction Niche Goes Belly-Up?